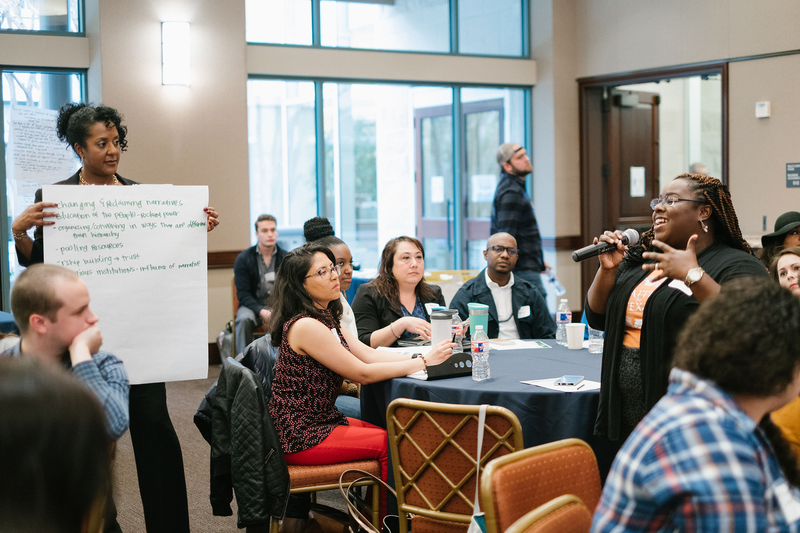 Over 140 community members spent the morning and afternoon of January 22nd (National day of Racial Healing) with Dallas Truth, Racial Healing & Transformation at our first Community Visioning Session and Community Celebration Luncheon! 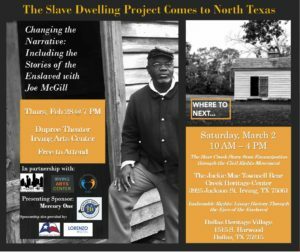 Our Community Partner, Dallas Public Library, shared the importance of archiving history and family narratives, and introduced several upcoming library programs, such as geneology and oral history classes. 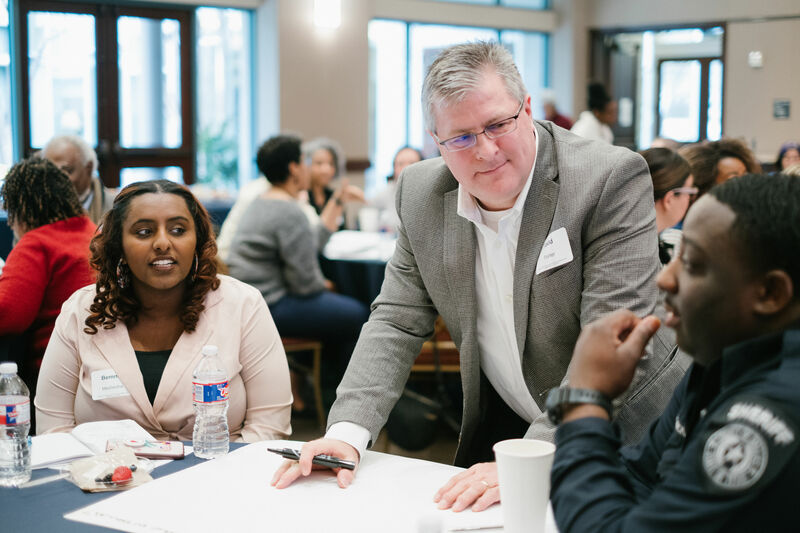 During the Community Visioning Session, we examined our individual and shared communities’ history about race and racism, what progress may be underway and challenges we will face. We also explored a collective vision of Dallas without racism and ended the first part of our day by exploring a racial healing practice. 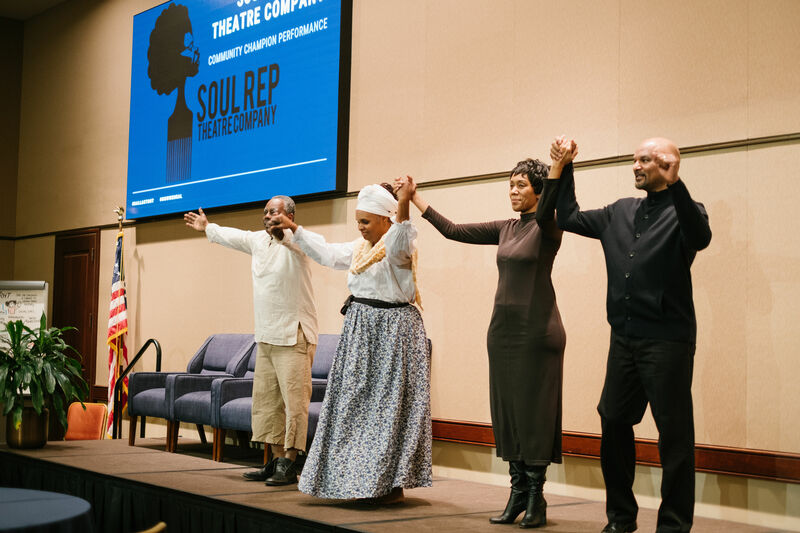 We began the Community Celebration Luncheon with a performance from Soul Rep Theatre Company, who shared two powerful excerpts of plays from their former and current seasons. 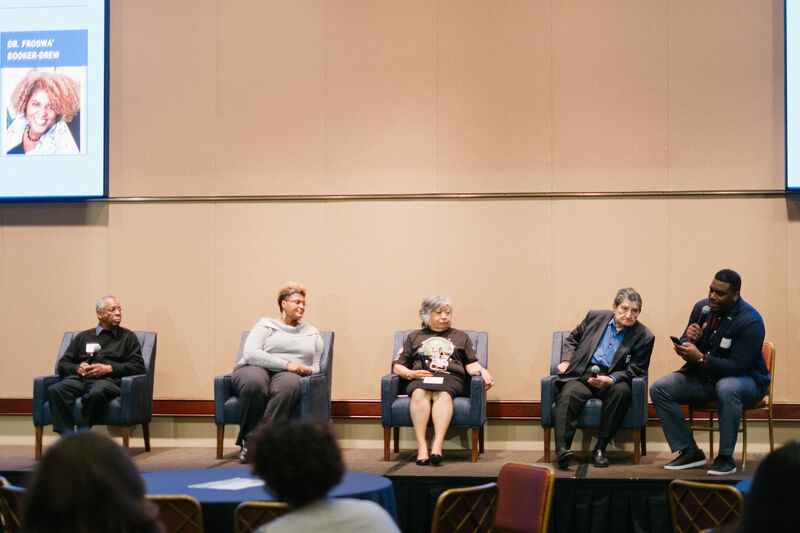 We ended the first part of our day with a Community Celebration Conversation with Peggy Larney, founder of American Indian Heritage Day for the State of Texas, Donald Payton, a local genealogist, historian and master storyteller, Trini Garza, the Latino elected to the Dallas ISD Board of Trustees, and Dr. Froswa’ Booker-Drew, a community-based philanthropist and social connector. Each of these Community Champions will receive $1000 to be donated to the social justice/racial equity cause or organization of their choice. Click here to view more photos from the National Day of Racial Healing.